One more designer to share with you this week! Katie Rosenfeld is based in Boston but from the look of her designs you would think she was in Palm Beach! Turns out she was born and raised in Florida and her Floridian energy and love for color shines through her work. She loves using pinks, greens and blues in her crisp and fresh designs. Katie also has a lovely blog called Bogle Street which is a look into new projects and ideas. 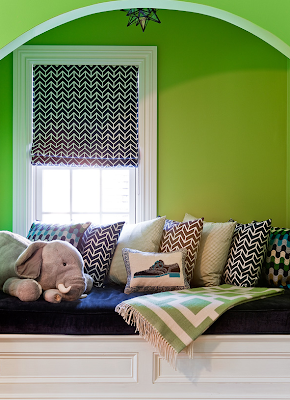 She has a few children's rooms in her portfolio but above all, you can get some color combination inspiration from her other images! And coming this summer, she is launching an e-design business too so stay tuned! 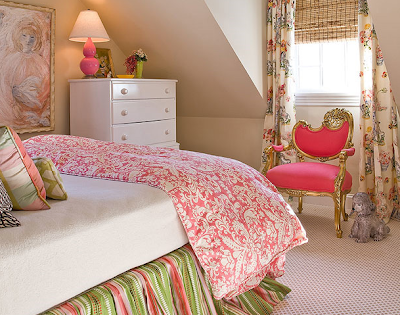 This is a girl's room but would make a nice guest room too. 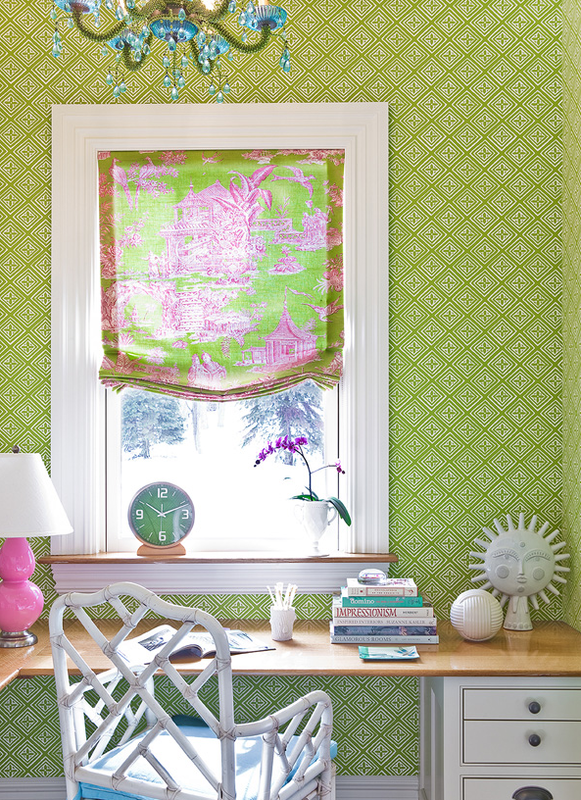 The fabric on the window treatments is so pretty. More dramatic stem green paired with navy this time. One of my all time favorite color combinations. A large boy's room with plenty of space for playing with a punch of zebra on the floor. where can you find that navy upholstered boy's bed? i just love it's height! great for toddlers transitioning from a crib. I was about to ask the same question as the commenter above! LOVE that bed!!! My assumption is that it is custom, not that difficult for any upholsterer to make since the lines are so clean. Katie if you are reading this...any guidance? Together with consumers continually contacting to improve instances and also publication fresh sessions, any hair salon chanel replica handbags publication can simply grow to be your better good friend! Whether it's any first-time consumer or perhaps an individual that is recently been together with you from the beginning, establishing and also taking care of sessions are usually maybe the main areas of owning a productive hair salon. Each crucial chanel replica bags inside the attractiveness market centers about sessions and also offering companies since assured. Hair salon Bathroom towels. Hair salon bathroom towels has to be strong and also robust, but soft around the epidermis. Acquire hair salon bathroom towels from the 12 for your best inside financial savings. It is possible to both chanel replica bags economic system hair salon bathroom towels or perhaps the particular bleach-safe, elegant hair salon bathroom towels. Are you experiencing any hair salon that’s merely recently been exposed or perhaps refurbished together with a lot of shades? Product the simple white-colored bathroom towels together with several shade splashes. Go for burgundy, environmentally friendly or perhaps african american hair salon bathroom towels. These kinds of abundant shades seem well-defined with all the opera shimmering about several items of hair salon home furniture. There exists a chanel replica handbags economic system beauty shop bathroom towels certainly are a staple for some hair salon organizations. The particular chemical compounds and also remedies thus required for specific companies are usually challenging over a bath towel. That’s in which economic system bathroom towels can be found in helpful. Furthermore, consumers inside the barber chair together with quick head of hair may well not desire a thicker bath towel, although consumers together with chanel replica bags head of hair may well enjoy a tad bit more filler.